NASCAR (the National Association of Stock Car Automobile Racing) had a tremendous effect on the development of American’s love affair with automobiles. It also helped in the development of many safety and performance developments that have come along in the last 50 years. 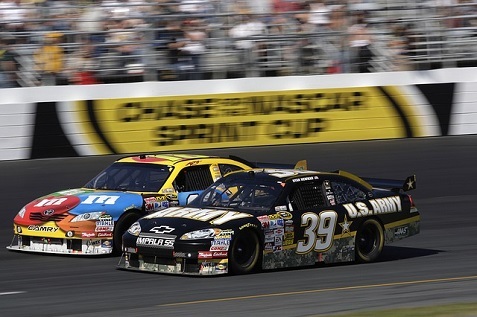 The history of American motoring has its roots firmly planted in NASCAR’s development. Bill France started the idea in 1948 in Daytona, Fla. He was a promoter, and while there were races here and there, they did not have a very good reputation. Sometimes promoters would skip town with the prize money, and other nefarious things happened as well. France’s idea was to create a national circuit where there could be one set of rules for everyone and a governing body to make sure all the races were handled legitimately. Daytona Beach had been a hotbed for auto racing as far back as the early 1900s, and especially in the 1920s and 1930s. France did not create the idea of auto racing, but he did create and promote the idea of racing “stock” cars, meaning cars that were driven by the public. His idea was also to have pure stock car racing. It was true that in the early days of racing, people would at times drive their own car to the track, enter it in the race and then drive home. That was not real common, but it showed the type of cars that were being raced. Automotive manufacturers soon got in on the idea. You could sell a lot more Chevys if one was winning all the races around the country, for example. Through the 60s and well into the 70s, automotive manufacturers were major supporters, and the sport grew especially in the southern United States. Stock car racing grew in popularity, and of course every driver or team was always trying to find ways to make their cars go a little faster. The idea of designing cars to be aerodynamically efficient came about through NASCAR drivers and mechanics developing the idea, for instance. Famed auto maker Smokey Yunich was also credited with making innovations with engines that found their way to the manufacturers’ assembly lines. This probably also helped with Americans developing a love for their automobiles. While manufacturers liked to see their cars winning, it no doubt gave a sense of pride to a Ford owner, for instance, when a Ford took the checkered flag at a major NASCAR raceway. Another important part of NASCAR’s history is that of the bootlegger. In the days of prohibition, and later, there were people who delivered moonshine whiskey in hopped up cars. They modified their cars so they could outrun the police. Many of these drivers became NASCAR drivers once the circuit got going, and their driving skills paid off on the track. The legend of the moonshine runner fit in nicely with the development of NASCAR in the south, and that also helped create the mystique of the American automobile.